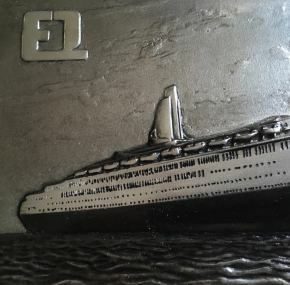 Impressive framed plaque made for Queen Elizabeth 2’s entry into service. Obtained on her maiden voyage and in excellent condition. I’ve never seen another. 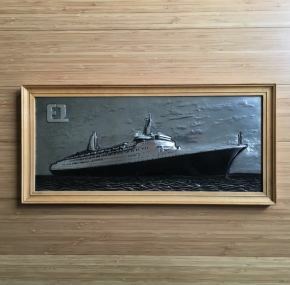 This QE2 plaque measures about 16.5″ x 8″ including the original frame. 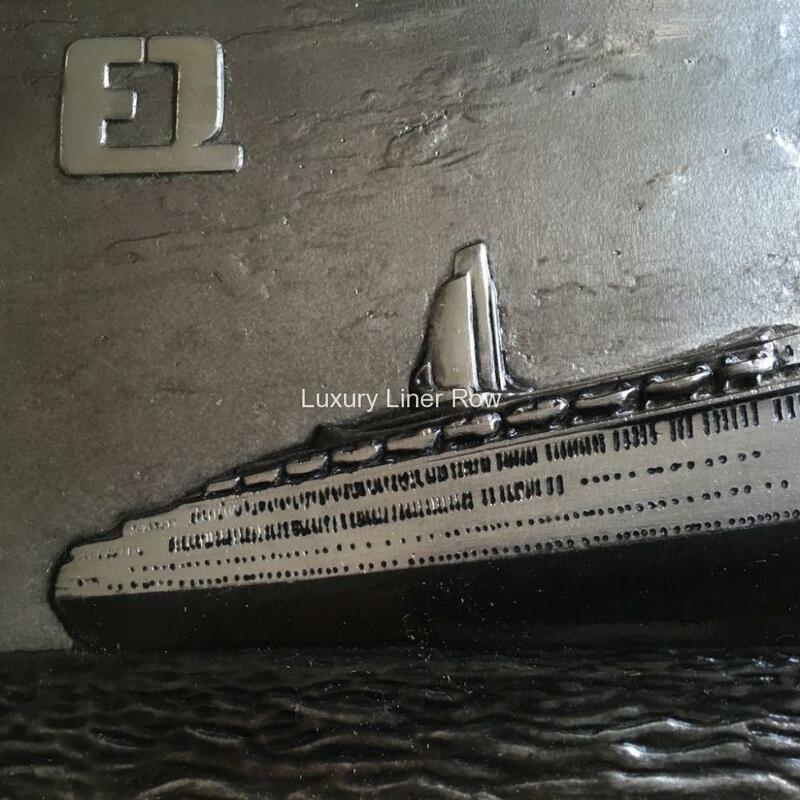 This item comes from the collection of Ron Johnson, Operations Manager of Cunard in New York. He started with the company in 1926 and retired in 1971. 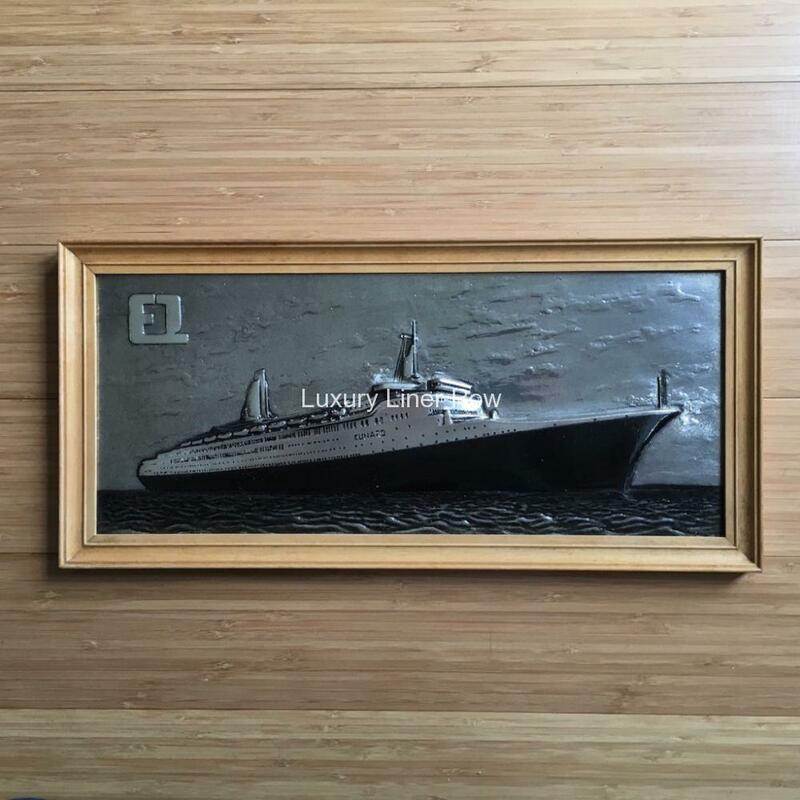 I recently purchased all of his Cunard and White Star memorabilia from his estate, and it will be put on Luxury Liner Row over the next few months.